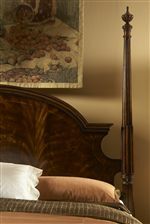 Hyde Park is a sophisticated traditional design inspired by late 18th century English antiques found across Europe in the 19th and 20th centuries. 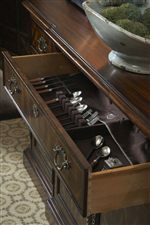 These special pieces create a new look in terms of scale, function and usefulness for today's modern homes. 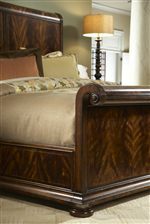 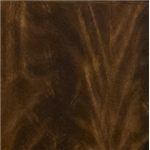 Crafted in walnut solids and featuring highly figured Okume Mahogany veneers, Hyde Park is available in bedroom, dining room, and occasional items in the Saint James finish, making it a perfect complement for today's modern traditional interiors. 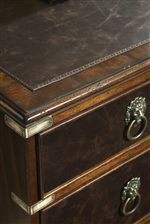 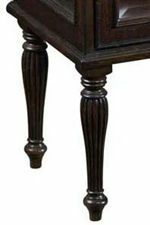 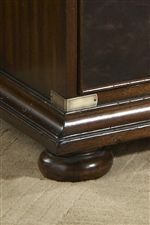 Beautiful inlay table tops, antique hardware, and hand-carved detailing sets this collection apart. 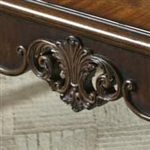 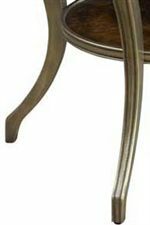 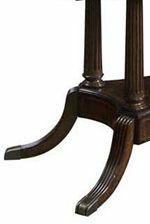 Select pieces of dining room seating present the option of ivory fabric upholstering or leather upholstering with nail head detailing; other pieces feature leather accents and Lion's Head hardware. 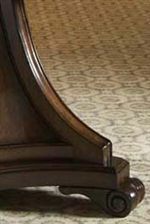 For a more contemporary effect, order pieces in each upholstery and allow the combination of ivory and leather to add variance as well as elegance to your home. 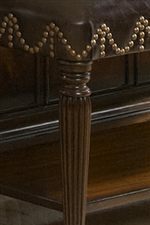 Browse other items in the Hyde Park collection from Malouf Furniture Co. in the Foley, Mobile, Fairhope, Daphne, and Gulf Shores, AL area.